Another hit Street bang from ybs nation boss. The yoruba indigenous rapper hit out a single track 'GBO'PE'. KING-JOEFRESH present this street jam to the streets. This song will blast the industry and is a strong and powerful street dance song. 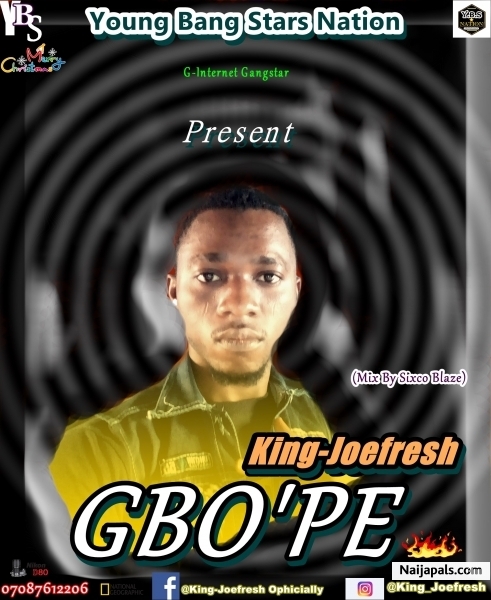 'GBOPE' is a mighty street jam, talking about the gee that elevate. It's time for the Gee guys to celebrate. Get ready, buckle your shoes and set to dance to this song. This song was produce by Sixco Blaze. Thumb down to download the street vibe.